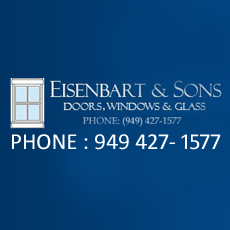 Eisenbart & Sons is Southern California\'s best choice for glass, door and window installation and replacement. Serving orange county\'s residential and commercial customers since 1982. Eisenbart & Sons offer special finance on approved credits.